We have already seen how well the new iPhone 5 resists to drop tests, but if falling down isn't a big issue... easily scratching its nice looking back cover certainly is. 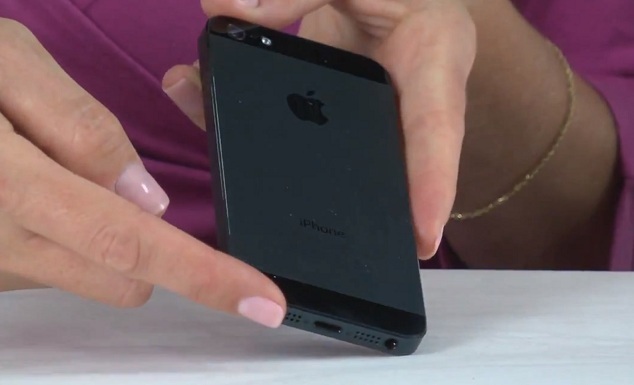 As the following video will show, even the glass back cover of the previous iPhone 4/4S is more scratch resistant than the iPhone 5 metal body, that can easily be scratched and scuffed. One would expect that for such a pricey high-end device, Apple would have taken a little more extra care with the treatment they apply to the metal they use. For instance there are ceramic compounds that can be applied to metal, providing a protective layer just a few microns thick, that could have avoided this issue. A layer that has nearly supernatural characteristics, being resistant to heat, scratches, chemicals, you name it. In fact, if you forcefully put a screwdriver or knife into you and scratch it has hard as you can... the "scratch marks" you see are actually the knife or screwdriver being scraped away. You just need to wipe it out to find that the protective layer is completely intact. Sure, it's expensive to do so... But I don't think that would be an issue for Apple. In fact, I can't stop wandering, if this is the sort of thing they already know, but are waiting to use on the next generation iPhone, when all the iPhone 5's are completely scratched after 1 year of regular use. Or, more likely, people will have their "beautiful" iPhone 5's, hidden away in hideous protective covers, so they don't scratch it. If so... what's the point of having such a fine piece of engineering with so much care put into its design?